LAUSANNE, Switzerland - The World Baseball Softball Confederation today revealed that a "Hula U-15 World Cup Food Festival" will be staged by the City of Iwaki on the weekend of 30-31 July, in honour of the 12 nations competing in the WBSC U-15 Baseball World Cup® 2016, which opens on Friday, 29 July. Guided by the values of Olympism, Iwaki, the Baseball Federation of Japan and WBSC hope the culturally diverse tournament will serve and unite the region through sport. The Japanese host city has been carrying out many related promotional and rebuilding activities to serve the local community and promote the city's resurgence following the devastating Great East Japan Earthquake that struck the region on 11 March 2011. 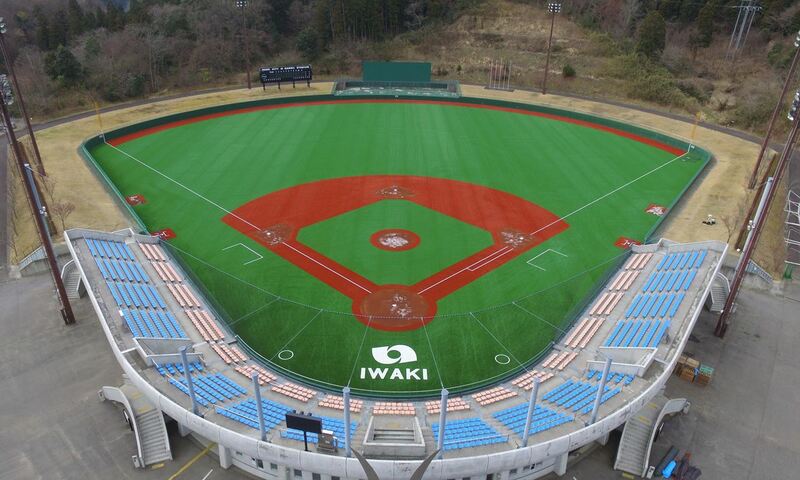 Twelve nations will send their best U-15 players (born 2001-2003) to Iwaki for the upcoming U-15 Baseball World Cup, the highest level of competition for the age-group. As part of the newly added entertainment and attractions surrounding the III U-15 Baseball World, Cup, the weekend festival will take place at 21st Century Forest Park and will celebrate dishes that are popular in the 12 nations competing For the Title of World Champion. In conjunction with Iwaki's Spa Resort Hawaiians theme park, the thrilling Samoan "Fire Knife" ceremonial dance, in addition to Polynesian dance performances by the popular Hula Girls, will be showpieces of the cross-cultural spectacle. Fans, tourists and visitors of the Hula U-15 World Cup Food Festival will be able to experience menu items such as Japanese Sukiyaki (beef platter), Korean Chijimi (pancakes), American hot dogs and Mexican tacos. The celebration will also feature A5 Japanese beef (the highest class) and shitake at designated hours. The festival will be staged for maximum community inclusion, reach and engagement, with Iwaki City officials setting an attractive price range of 300-500 Japanese Yen ($US 3 to 5) per menu item. Dishes will be prepared exclusively using local ingredients, helping to spotlight the offerings of the Iwaki region. The City of Iwaki will provide a free shuttle bus service to transport fans/festival attendees from nearby Yumoto station to and from 21st Century Forest Park, where the flagship venue of the U-15 Baseball World Cup 2016, Iwaki Green Stadium, is also located. Australia, Chinese Taipei, Colombia, Cuba, Czech Republic, Japan, Mexico, New Zealand, Panama, South Korea, United States and Venezuela have qualified into baseball's U-15 youth world championship in Iwaki. The tournament is set to build on the unprecedented success of last year's U-18 Baseball World Cup in Osaka, Japan, and the U-12 Baseball World Cup in Tainan, Taiwan. The finale of the U-18 Baseball World Cup 2015 generated a massive online media buzz, top TV ratings and an attendance of 15,000, while the final of the U-12 Baseball World Cup 2015 sold out the 11,000-seat Tainan Municipal Stadium. "WBSC commends the City of Iwaki, under Mayor Toshio Shimizu, and the Baseball Federation of Japan for the high level of coordination and event promotion leading to the U-15 Baseball World Cup 2016," said WBSC President Riccardo Fraccari. "Iwaki's vision and implementation of not only showcasing our sport and the Baseball World Cup platform as a major international attraction but also as a vehicle to showcase and serve the Iwaki community is a true win-win." The festivities, youth-focus and international spirit of the U-15 Baseball World Cup in Iwaki are also intended to leverage baseball and softball's universality while embracing the Olympic values of shaping a better world through sport. Last month, the International Olympic Committee Executive Board voted unanimously to recommend baseball/softball's inclusion among a new sports package for the Olympic Games Tokyo 2020. The IOC will take a final vote on in Rio de Janeiro in early August. It was also announced that Iwaki City will serve special WBSC U-15 Baseball World Cup 2016-themed school lunches across all municipal elementary and junior high schools in the host city. The promotional "Cheer Lunches" - which feature baseball glove-shaped bread and WBSC U-15 Baseball World Cup 2016 branding on food packaging - will be provided not only to students but also to faculty and Parent Teacher Association (PTA) officials, in an effort to further build excitement and raise awareness that Iwaki will host the U-15 flagship event. Iwaki's innovative lunch promotion generated national headlines online via Yahoo! Japan, which featured the U-15 Baseball World Cup-branded lunch story to its readership of 44 million. The city also recently upgraded Nambu Stadium, one of the three venues hosting #U15WorldCup matches, with a new $US 2.3 million (254,000,000 JPY) synthetic turf.